Many of my small business clients need more than a headshot. They need to tell their unique brand story. What is a brand story? According to echostories.com, a brand story is a cohesive narrative that encompasses the facts and feelings that are created by your brand (or business, if you prefer). A brand story is most significantly impacted by what other people are saying about your brand. So, when creating imagery for your brand, you want to think about the impression it will be making on others. You want to select photographs that will evoke the right emotions and tell the story that YOU want to tell. Below are some things to consider when planning a photo shoot for your brand. Include your brand colors in your clothing and backgrounds. If you have hired a graphic or web designer, chances are they have defined a color palette for your logo and website. These are also referred to as brand colors and are meant to appear wherever your logo appears. These colors were chosen with your brand image in mind, so it’s important to use these colors in your clothing choices and background colors, especially if you are doing a simple studio setup. Brooke Burns Swindle, the Caring Coach, did a multi-day shoot with me that included both a studio and a location shoot. We were sure to use her brand colors – aqua and red / orange in her studio shoot. 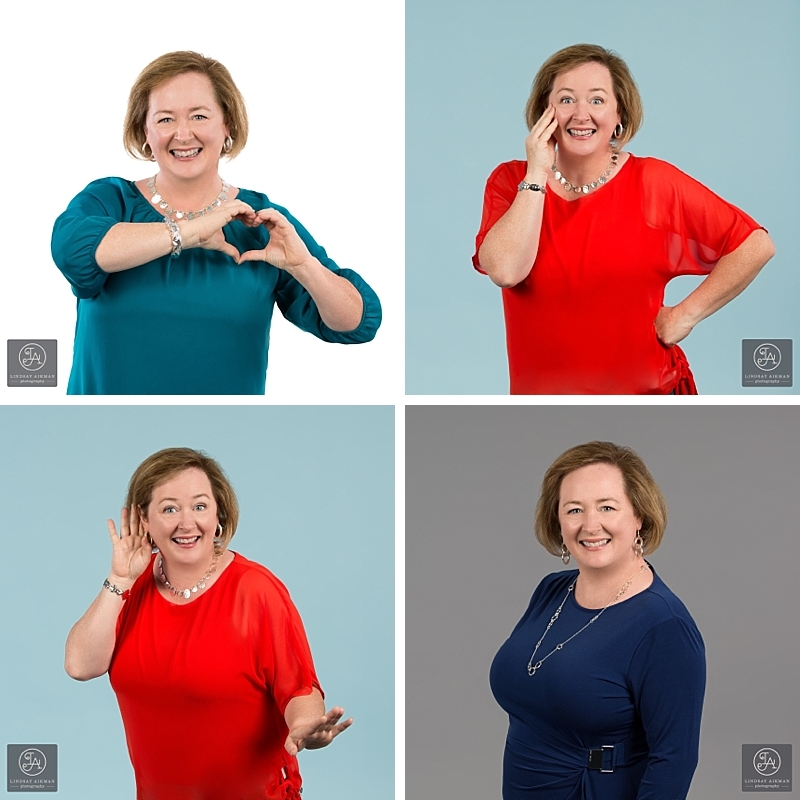 Since she is an animated and playful speaker, we shot several “in action” photos of her that could easily pair up with text. We also shot a more classic and elegant headshot of her in a navy dress on a gray background. As a coach, Brooke helps clients with passion, purpose, and productivity. 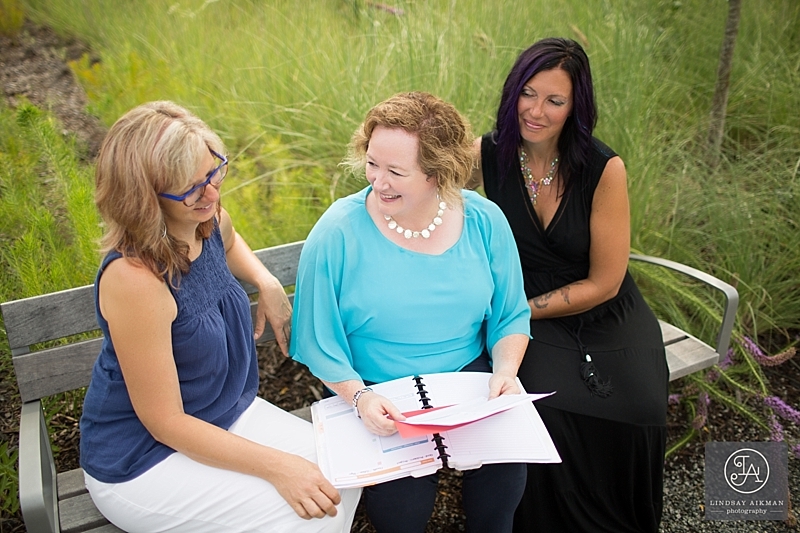 She helps clients navigate the twists and turns in their lives and also collaborates with other coaches. 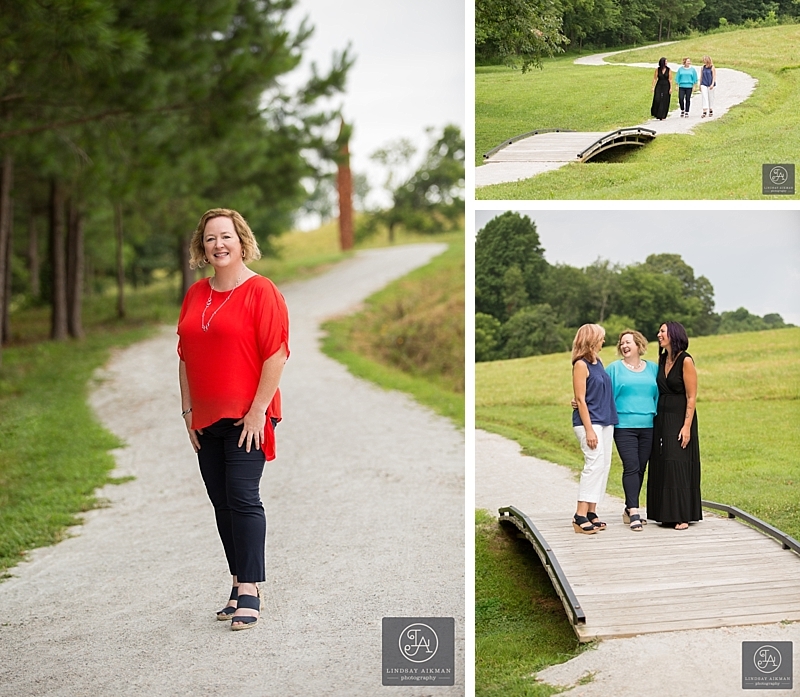 The serpentine path at Raleigh’s North Carolina Museum of Art tied in the metaphor of the path of life and was a great opportunity to show her walking that path with the support of friends / coaches. 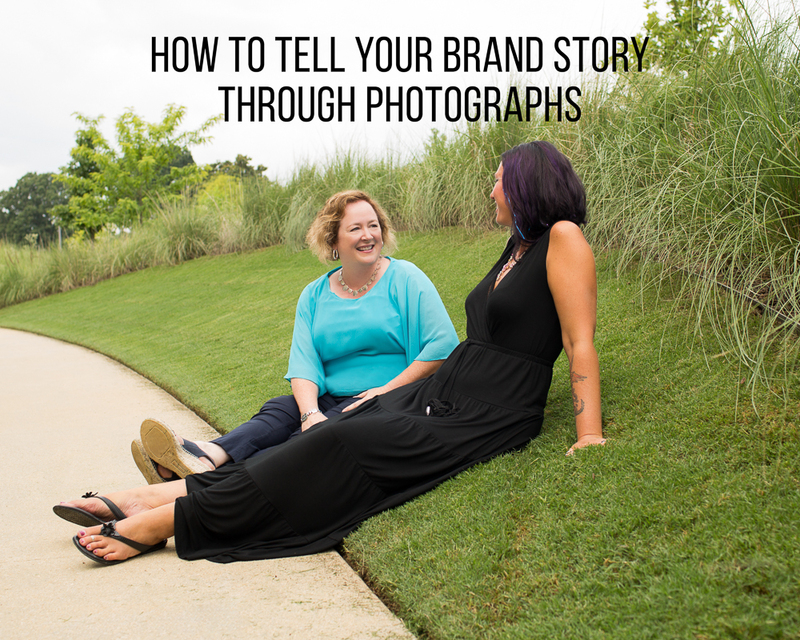 You’ve probably heard the phrase “Show don’t tell.” Prospective clients want to get a sense of what is it like to work with you and shooting some photos of you doing what you do is the perfect way to do this. Brooke wanted to show her talking one on one with a client and in a small group setting. The natural outdoor setting helps the images look relaxed and inviting. Alison Katschkowsky, a personal trainer and founder of CU Fitness, provides a personalized workout experience for her clients. She has a private workout studio just outside of downtown Raleigh. We shot in her studio so that her clients could see the space and amenities and see her in action.